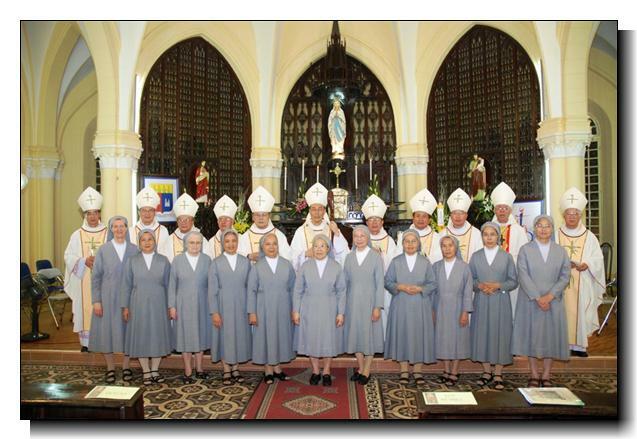 The St. Paul de Chartres sisters in Vietnam were attacked by gangsters while they were protesting construction of a house on their former land. On May 8, a dozen nuns tried to prevent workers from building a house on the land next to their convent in Hanoi. Witnesses said gangsters employed to guard the site "insulted and attacked the nuns with batons and one nun was beaten to unconsciousness." According to the report many policemen were present but did nothing to stop the brutal attack. In a petition to Hanoi authorities in 2016, the nuns said their congregation had taken legal ownership of the 200-square-meter land plot in 1949. After 1954, when communists controlled northern Vietnam, the government rented a novitiate building on the site for an institute of microbiology. Authorities later divided the site and sold it to other people. The nuns have asked the government to return the land many times over the years. In 2016, Hanoi resident Tran Huong Ly hired workers to build a house on the land after telling nuns that local authorities had granted her a building permit and a certificate to use the land. After being attacked on May 8, Sister Cecilia Pham Duong Quynh and other nuns marched to the headquarters of the People's Committee of Hoan Kiem district to petition the district to stop the construction. They raised banners reading "Stop construction on the land of St. Paul sisters." Sister Quynh said officials refused to make any decision on the nuns' demand. She said they will continue marching to government bodies to ask them to deal with the illegal construction.